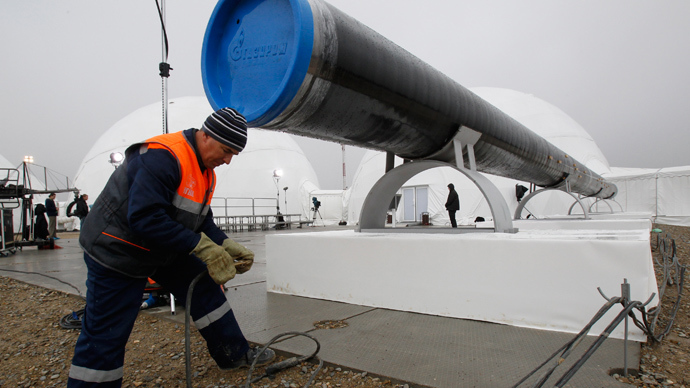 Moscow is ready to support not the government of Ukraine, but the Ukrainian people, President Putin said, referring to Russia’s loan to its neighboring state and its offer to reduce gas prices. No matter which government comes to power in Ukraine, Russia will not reconsider its earlier signed agreements, he told a news conference in Brussels. 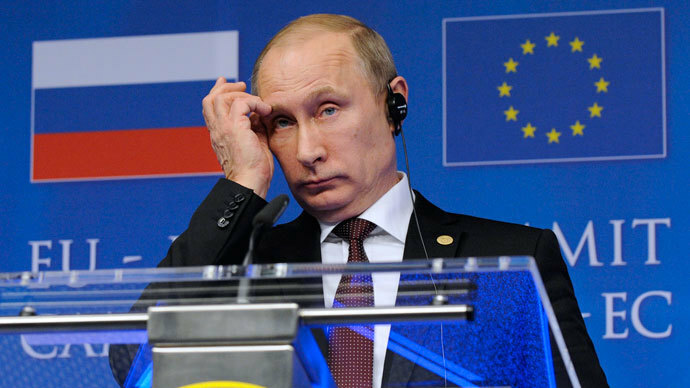 "Regarding you question whether we will review our agreements on loans and the energy sector if the opposition will take power ... No, we will not," Putin told a news conference after talks with European Union leaders in Brussels. The loan and the gradual reduction of gas price were to “support the people of Ukraine, not the government”. “It’s the ordinary people who always suffer,” he added. The Russian president reiterated Moscow’s position on the situation in Ukraine, saying that the political crisis in the country should be solved without foreign interference. 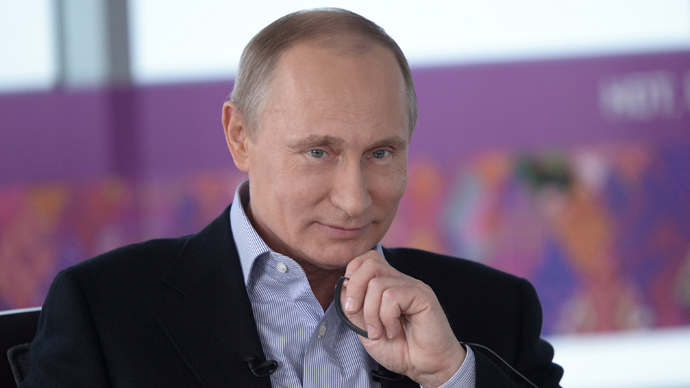 Putin said that Moscow believes that meddling in Ukraine’s domestic affairs is unacceptable. The international community, which has been calling on Ukrainian President Viktor Yanukovich to act in a civilized way amid the crisis, should urge the opposition to do the same, Putin added. 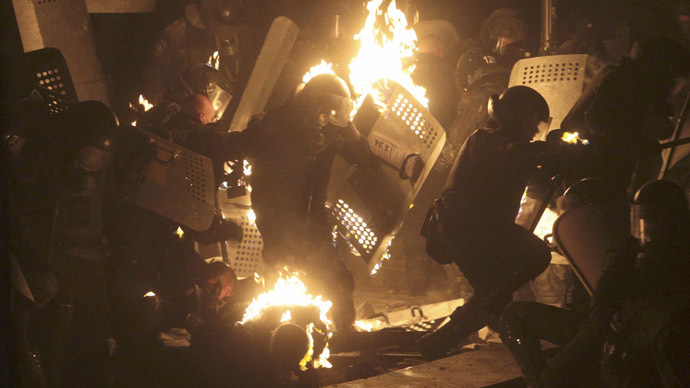 Ukraine has been gripped by mass anti-government protests that began on November 21, after Yanukovich refused to sign an association agreement with the EU. 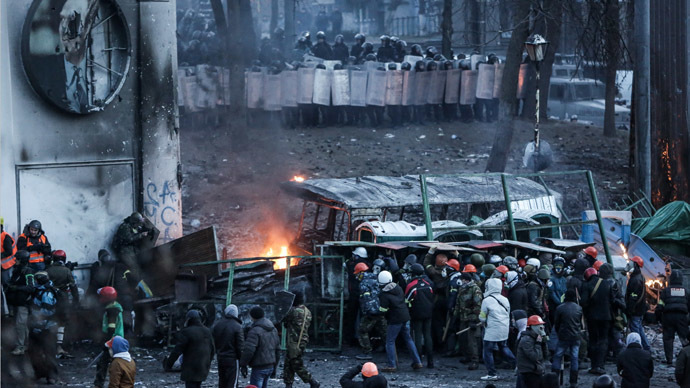 The initially peaceful protests have lately descended into extreme violence, with nationalist groups being at the forefront of brutal clashes with police and seizures of administrative buildings. The pro-EU opposition is particularly supported in western Ukraine. “[Western] media did not show it, but we did see that a priest in western Ukraine called on the crowd to go to Kiev and storm the government. And then he explains: ‘That’s in order not to allow niggers, moskals (an insulting word used by Ukrainians to describe Russians), and Jews to rule,’” Putin told the news conference. Earlier in the day, Putin met behind closed doors with European Council President Herman Van Rompuy and European Commission President Jose Manuel Barroso. The Russian delegation to Brussels also included Foreign Minister Sergey Lavrov, Moscow's envoy to the EU, Vladimir Chizhov, First Deputy Prime Minister Igor Shuvalov and presidential aides. The 32nd summit between Russia and the European Union was initially planned for the end of 2013. However, EU leaders, citing their busy schedules, asked Moscow to reschedule the talks for the end of January and turn it into an informal meeting. Also, the event was shortened from two days to just several hours. Explaining the reasons for the change of format, Brussels pointed to the necessity for a thorough discussion of key issues, since there are “quite a few problems” in Russia-EU relations. Those problems include the implementation of the Eastern Partnership initiative – a program of EU cooperation with six former Soviet republics, including Belarus and Ukraine. During Tuesday’s meeting, the sides discussed how the Eastern Partnership and the Customs Union between Russia, Belarus and Kazakhstan “could relate to each other,” Van Rompuy said. The Partnership program could be beneficial and open new business opportunities for all EU’s eastern neighbors “including Russia,” he said at the joint news conference. “The Eastern Partnership doesn’t affect Russia’s economic, trade, social-human and cultural links to many of our common neighbors,” he said. But since there can be “different interpretations and misunderstandings on the [Eastern Partnership] association agreements,” Brussels and Moscow agreed to continue bilateral consultations on the issue and talk about possible economic consequences of such agreements for both sides, Van Rompuy said. Barroso said that the most important strategic and joint objective is to create a common economic space from Lisbon to Vladivostok, in Russia’s Far East. The EU’s Eastern Partnership program is one of the steps to achieve that goal. “The partnership is not against someone, it is for something,” Van Rompuy said. Putin said that Russia had some questions about the consequences of Ukraine’s signing of the association agreement and whether it would be allowed to remain within the free trade zone. Moscow “got an impression that Ukraine was being taken out” of the zone that unites several former Soviet republics, he said. If that was the case, Russia would not be able to preserve the preferential regime for Ukraine since otherwise “such a backdoor entry into our market” would affect the Russian economy. “There’s no politicking here, there’s pragmatic interest,” Putin said. Due to the change of format of the Russia-EU summit, no agreements were signed. Normally, such gatherings are held twice a year: in Brussels in December and in summer in Russia. It is planned that next gathering will take place in Russia’s Sochi on June 3, on the eve of the G8 summit that will also be held in the Black Sea resort.